Date Joined April 10, 2008 Location Somewhere Hugging Shawn! Last Updated May 24, 2008 Occupation Making Shawn's face get redder than Gaara's hair! Oh My God! I am obsessed with The Beatles right now. John Lennon is a genius. I'm so sad he died. *sniff* CHAPMAN I HATE YOU!!! I Love my Shawn though! Hello peoples, I am Tawni. I'm really hyper and annoying. I do have anger problems so please don't piss me off. I don't like being in a bad mood. I do take requests. Just shout it out and I'll get to it eventually. I'm trying to avoid negativity in my life. So I would apreciate you not being an @$$. Thank you. I love Scooby Doo, Invader Zim, The Grim Adventures of Billy and Mandy, Naruto, and Death Note. I also like the movies Sweeny Todd, Twister, Constantine, Edward Scissorhands, Dreamcatcher, Jackass, The Yellow Submarine, Disney movies, Close Encounters of the Third Kind, Jarassic Park, The Nightmare Before Christmas, and more. I'm just too damn lazy to type all of this right now. I love all kinds of music. 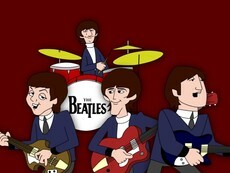 BUT RIGHT NOW I'M OBSESSED WITH THE BEATLES! I LOVE JOHN LENNON! BUT I LOVE SHAWN MORE! An incident affects the future of Deep Space Nine. This future must be avoided at all costs. One man who has lost everything will be the one to end the threat this future poses- at any cost. sounds cool. I'll get right on that.